If you live or own a home in Montana and are facin foreclosure, please see below for the step-by-step process. When you develop a definite plan of action with well-timed, well-informed steps, you can stop the foreclosure process and save your home. We have outlined the foreclosure process for the state of Montana . Real estate may be foreclosed on by filing a lawsuit or by conducting a non-judicial private foreclosure sale in compliance with Montana law. Montana has some unusual mortgage provisions that have been largely replaced by the Small Tract Financing Act of Montana for homesteads and small business real estate. If the tract of land is 15 acres or less, then the lender may use a trust deed that provides for a relatively quick and inexpensive foreclosure procedure. Unless the Small Tract Financing Act applies, then the lender must foreclose either by filing a lawsuit and seeking an order of sale, or else following a special foreclosure procedure. Small Tract Financing Act Foreclosure Procedure to be foreclosed on and upon every person claiming an interest in the property who may be found in the state of Montana. The names of the borrower, lender and trustee. A description of the property in foreclosure. A description of the default causing the foreclosure. The book and page where the trust deed is recorded. The sum owing on the defaulted loan. The trustee's or lender's intention to sell the property or pay off the debt. The date of the sale, which shall be not less than 120 days subsequent to the date the foreclosure notice is filed for record. The time of the sale, which shall be between the hours of 9 A.M. and 4 P.M., mountain standard time. The place of the sale, which shall be at the courthouse in the county in which the property is located, or at the office or usual place of business of the trustee if it's within the county in which the property is located. At least 20 days before the date fixed for the trustee's sale, a copy of the recorded notice of sale must be posted in a conspicuous place on the property to be sold. The trustee may request the sheriff or constable of the county to post the notice. A copy of the notice shall be published in a newspaper of general circulation in the county in which the property is located once per week for three successive weeks. The posting and the last publication shall be made at least 20 days before the date fixed for the trustee's sale. On or before the date of the sale the trustee must record an affidavit stating that the requirements of mailing, posting and publication have been met. At the date, time and place specified for foreclosure in the notice of sale, the trustee or his or her attorney shall sell the property at public auction to the highest bidder. The sale may be postponed up to 15 days by a proclamation made at the time the foreclosure sale would otherwise have taken place. The purchaser must pay the high bid price in cash. In return, the purchaser will receive a trustee's deed. If the purchaser fails to pay, then the trustee can resell the proper at any time to the highest bidder. The trustee may reject any further bidding by a bidder who fails to produce cash in response to winning a bid. Although the old statutes provided for a one year right of redemption, the Small Tract Financing Act eliminates the borrower's right to redeem after a properly conducted foreclosure sale. Montana does not allow a deficiency judgment unless the foreclosure was done by filing a lawsuit and the sale proceeds were insufficient to pay the judgment. Small Tract Financing Act foreclosures done out of court by advertisement do not give the lender any right to collect a deficiency from the borrower. The lender may obtain possession on the tenth day following the sale. 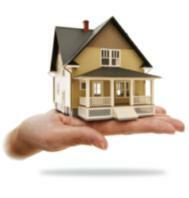 Any person still in the house or property is to be treated as a tenant at will (a nonpaying tenant. You must have complete, current, and accurate information to make informed decisions. checks from TWO title companies, to the most recent sales.